It was only a matter of time before this happened! H&M, a six-year sponsor of the annual Coachella festival that is held in the desert of California, is launching a Coachella-branded clothing line. The H&M loves Coachella festival collection is the first co-branded range for the discount retailer and the annual, two-weekend event. Who's shocked? Not me. It's the perfect pairing and, frankly, it's about damn time. Festival culture has become such a thing over the past three years, and now there are hundreds of music festivals unfolding in the U.S. and beyond from March through October. It's Mission: Critical for attendees to look good and to be cool and comfortable while rocking out, which isn't always an easy pursuit, what with the sweltering heat, the dirt in the air, and the general chaos of the event. But the H&M loves Coachella collection looks will obliterate that problem with its cute, breathable, stylish, wearable, and cheap 'n chic offerings. 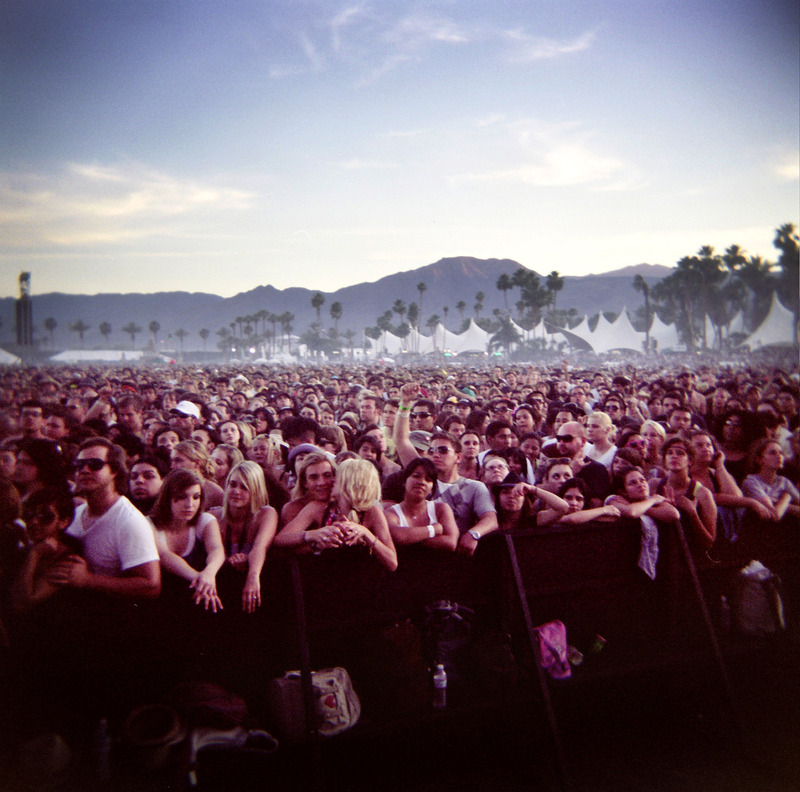 Remember, Coachella takes place April 10 through 12 and April 17 through 19. It's already sold out and will likely be crawling with celebs. Here's everything that we know and it's pretty much a foregone conclusion that the clothes are going to rule and be appropriate for the task at hand. The collection will go on sale at 350 stores in North America on March 19. It will be available online and worldwide on March 26. The pic above from a previous Coachella should provide some further festival fashion inspo for you when shopping the H&M loves Coachella set. If you are going to Coachella, you can multi-task. In between bands, you can head over to the pop-up shop on the festival grounds, since it will sell exclusive merch. There will be graphic tees and shorts for men. Maybe Jared Leto, who has attended previous Coachellas, will shop the line? Prices for the pieces fall in line with typical H&M fare, from $4.95 to $49.95. The good thing about it is that you can stock up on some cheap festival gear and not worry if it gets dirty and destroyed while rocking out near the moshpit and with thousands of other grimy bodies. Who cares if a top gets sweat-stained from running around to catch as many bands as possible if it was only five bucks? Coachella has become as much about the style as it is the sound! It's a destination event and H&M is going to make sure you look good.